The release of Wm. Habron - first line reads: It's of the cruel fate of innocent William Habron. 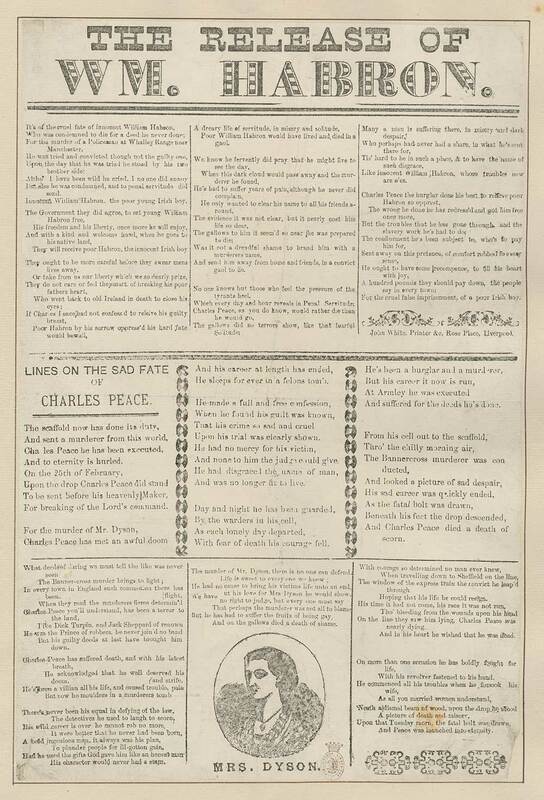 Lines on the sad fate of Charles Peace - first line reads: The scaffold now has done its duty. Charles Peace is mentioned by name in the Sherlock Holmes short story, "The Adventure of the Illustrious Client".